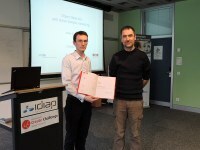 Abstract: The work presented in this dissertation lies in the domains of image classification, object detection, and machine learning. Whether it is training image classifiers or object detectors, the learning phase consists in finding an optimal boundary between populations of samples. In practice, all the samples are not equally important: some examples are trivially classified and do not bring much to the training, while others close to the boundary or misclassified are the ones that truly matter. Similarly, images where the samples originate from are not all rich in informative samples. However, most training procedures select samples and images uniformly or weigh them equally. The common thread of this dissertation is how to efficiently find the informative samples/images for training. Although we never consider all the possible samples "in the world", our purpose is to select the samples in a smarter manner, without looking at all the available ones. The framework adopted in this work consists in organising the data (samples or images) in a tree to reflect the statistical regularities of the training samples, by putting "similar" samples in the same branch. Each leaf carries a sample and a weight related to the "importance" of the corresponding sample, and each internal node carries statistics about the weights below. The tree is used to select the next sample/image for training, by applying a sampling policy, and the "importance" weights are updated accordingly, to bias the sampling towards informative samples/images in future iterations. Our experiments show that, in the various applications, properly focusing on informative images or informative samples improves the learning phase by either reaching better performances faster or by reducing the training loss faster. 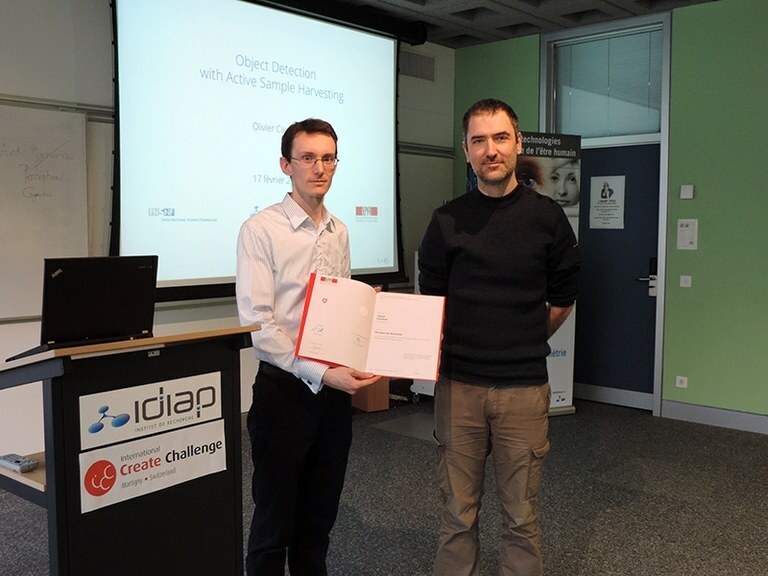 Congratulations to Olivier Canévet for his excellent work.